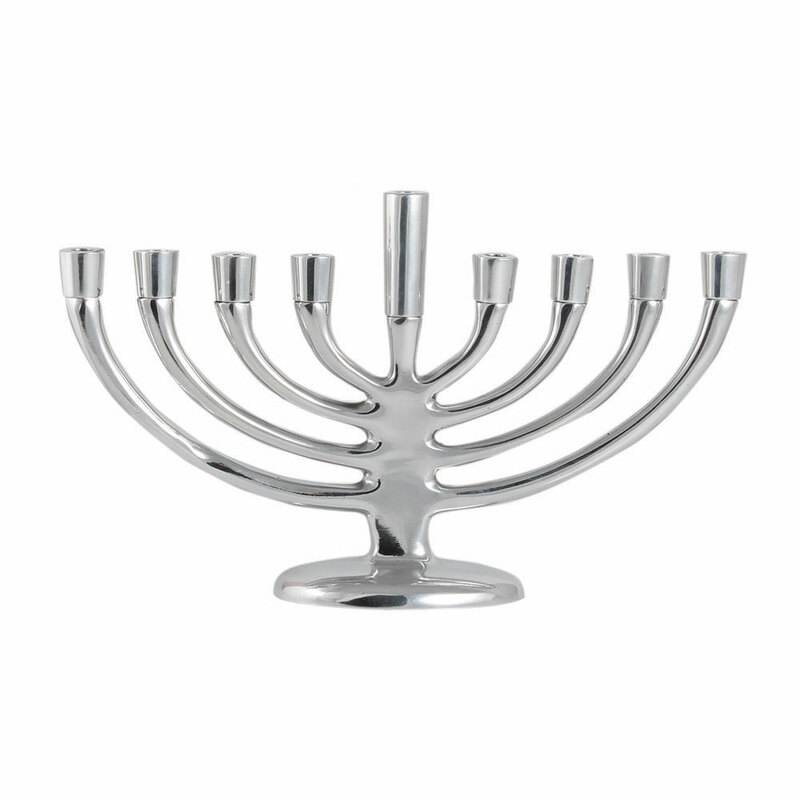 Smooth Menorah with simplistic beauty and a touch of tradition. A solid weight high polished aluminum body. Complimentary enough for any setting.